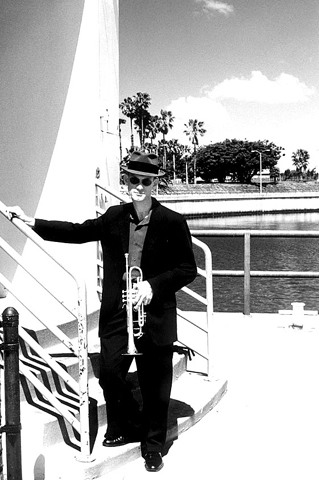 The Soul Shadows is led by trumpet player David Blaney. David has over 10 years experience as a local musician and arranger and is well respected in the community as someone you can trust and depend on without worry. His high standards of musicianship and professionalism are reflected in the rest of the band as well. The band consists of a male and female vocalist, trumpet, saxophone, guitar, piano, electric & upright bass and drums. Each musician has a substantial resume that includes performances at such venues as The Greek Theater, The Coach House, The Galaxy and The Queen Mary, along with numerous hotels, clubs and community fairs around the country. Whether you're having a house party, wedding reception, corporate dinner or community concert, we are dedicated to making the music as memorable as the event. We accomplish this by providing you with quality music, quality talent, and quality service. Our clients appreciate our versatility, dynamics and wide range of material. You will find many of our songs familiar, but not many other bands playing them. We regularly perform throughout Southern California. From small house parties of 30 people to street fairs with thousands, we adjust our volume, budget and space requirements to meet your needs.